It's that time of year when people around the world decorate for Christmas. Of all the Christmas decorations that people decorate with, Christmas trees are probably the most popular. A survey by the American Christmas Tree Association found that more than 94 million American households will display a Christmas tree in their home at Christmas. Of those trees, 80 percent will be artificial trees and 20 percent will be real. If you happen to decorate your home with an artificial tree, perhaps you'd like to switch things up. Cutting your own Christmas tree is not as hard as it sounds. Today, I'll go over everything you need to know about how to cut your own Christmas tree. Before you go cut your own Christmas tree, you will need to choose which Christmas tree you want to get. For many people, this is the fun part. But for others, choosing a Christmas tree is difficult and confusing. With just one glance, all the trees probably look alike. However, when you take a closer look at them you will realize that each tree is unique. 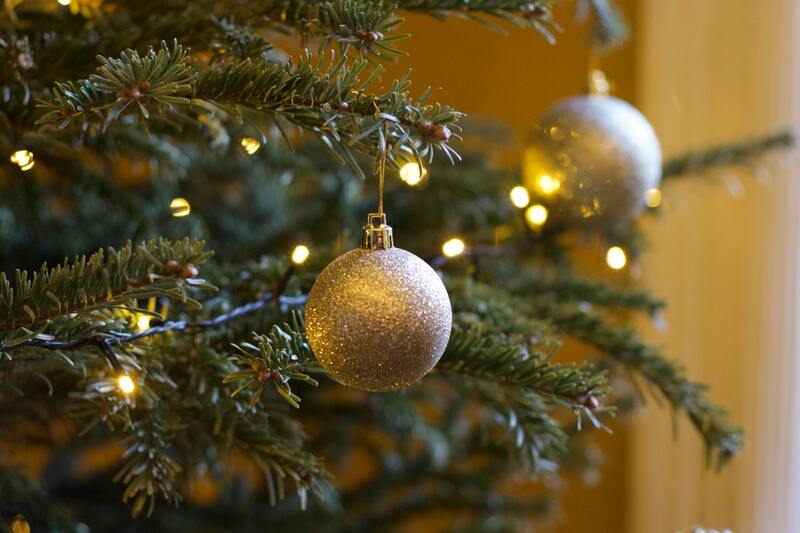 Here are the steps to take for choosing the perfect Christmas tree. Before you go out to the forest or Christmas tree farm, measure the room. Decide how big of a Christmas tree you can get. Also, measure your vehicle so that you know what size tree will fit in it. 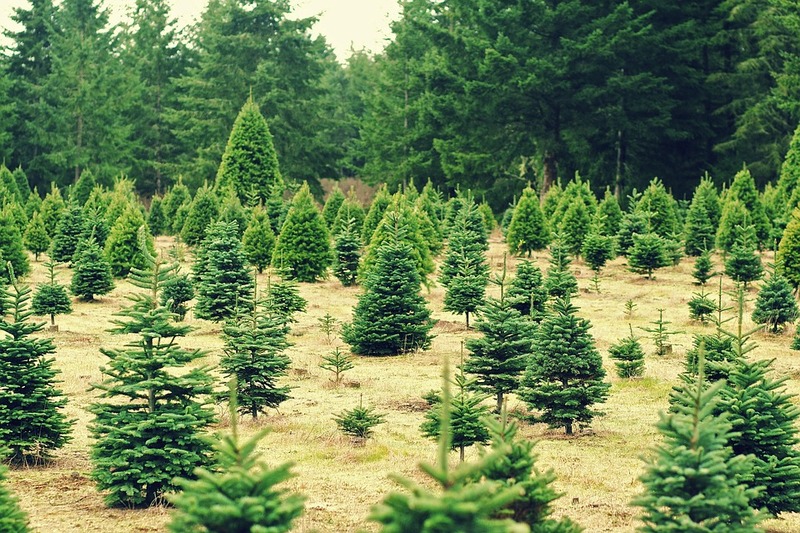 Take a walk around the Christmas tree lot or forest before you cut your own Christmas tree. Don't settle for a Christmas tree until you have seen all of them. While you want a tree that looks nice, the most important rule when picking out a tree is to check for freshness. Checking a Christmas tree for freshness is actually very easy. Run a branch through your enclosed hand. If the tree is fresh, the needles should not come off easily. When you bend the outer branches they should be pliable. If they are brittle and snap easily, the tree is too dry. You should never choose a dry Christmas tree because it can result in a house fire. After you have picked out your Christmas tree it is time to cut it down. In order to cut your Christmas tree, you will need some kind of saw. Depending on the size of the trunk, a simple hand saw or ax should work fine. A chainsaw is also a great tool to use, but make sure you follow all safety instructions when using it. You'll also want to wear some gloves and a safety helmet if you will be using a chainsaw. Once you have all the tools you'll need, decide where you want the tree to fall. The side you will be cutting will most likely be the side that it falls on. Make sure nothing is in the way that it could damage. To begin cutting, make sure you leave the tree a foot or two longer than you need it to be. That way, the tree is long enough. You can always cut it down more when you get home. Remember that you should never top a tree. Choose a tree that is the correct size, and cut it down as low as possible. If you will be using a hand saw, you may want somebody to hold the tree in place. However, if you are using a chainsaw it is best if the other person stays back so that he or she doesn't get hurt. Cut the tree at an angle, and then push it over. Once you have your tree, have someone help you bring it over to your truck or car. If you have a truck, you can lay the tree down on your truck bed. If you only have a car, make sure you strap it down with bungee cords or a rope. Put your permit on the Christmas tree if you got it from a forest. The next step is putting up your Christmas tree. To do this, you'll need a stand. There are many Christmas tree stands available. Make sure you choose one that your Christmas tree fits in. If you won't be setting your tree up right away, make sure you wrap a damp cloth around the truck. When you are ready to set up your tree, cut the end of your tree to remove any dried sap. Place your tree in the stand. Depending on the type of Christmas tree stand you have, you may need to tighten four spouts so that it fits your tree. Add water to it right away. Make sure to keep it well watered throughout the season. Once your Christmas tree is set up, have fun decorating it with Christmas lights and ornaments. Now that you have your tree, you may be wondering how to care for it. When a Christmas tree is cut, more than half its weight is water. With proper care, you can maintain the quality of your tree. 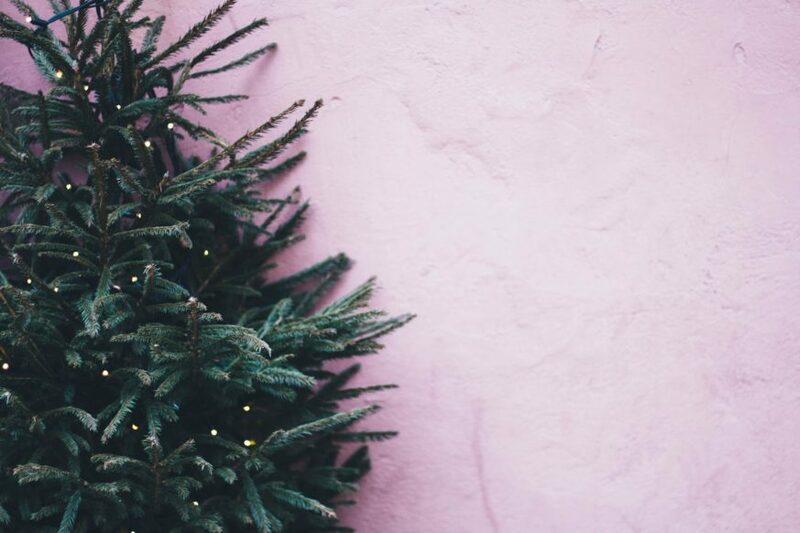 Here are some tips for keeping your Christmas tree healthy and fresh through the season. The first and most important care tip is to give your Christmas tree plenty of water. 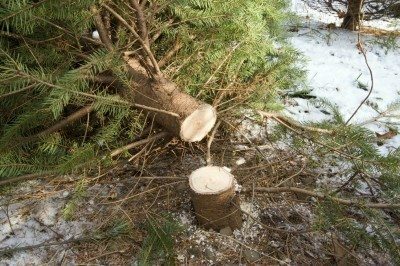 To do this, you'll need to set your cut Christmas tree into a stand made for live trees. Make sure you get your tree to its stand as soon as possible. Most species can go 6 to 8 hours after cutting the trunk and still take up water. Do not bruise the cut surface or get it dirty. As a general rule, stands should provide 1 quart of water per inch of stem diameter. Check the stand daily to make sure that the level of water does not go below the base of the tree. With many stands, there can still be water in the stand even though the base of the tree is no longer submerged in water. There are many devices out there that fill the tree stand for you using gravity. If you will be away from home a lot, you may want to consider purchasing one of those devices. Also, keep in mind that drilling a hole at the bottom of the trunk does not improve the water intake. Many people do this in hopes of their tree taking in more water but in reality, it damages the tree. Many of the house fires that happen around Christmas are caused by Christmas trees. Usually, the Christmas trees catch on fire because of the lights on them. To be safe, use lights that produce low heat, such as miniature lights. This will prevent your tree from drying out. Always inspect your Christmas lights before putting them on the tree. If any of the bulbs don't work, replace them or replace the whole strand of lights. Do not overload electrical circuits, and remember to turn your lights off when you are gone or when you go to bed. Many people try to keep their Christmas tree up through the New Year. This is ok if the tree is still fresh, but when your Christmas tree dries out it is time to get rid of it. Many house fires are caused by trees that became too dry. To prolong the life of your tree, make sure you give it plenty of water and pick a tree that looks healthy. When your tree begins dropping a lot of needles, it is probably time to get rid of it. Many towns offer Christmas tree pickup, and may even recycle it. You may be wondering where you can cut your own Christmas tree. There are many places to cut your tree, such as on Christmas tree farms or forests. Consider searching on the internet "Cut your own Christmas tree near me". A lot of options should come up, such as Christmas tree farms in Wisconsin or places to cut down Christmas trees in NJ. You should be able to easily find a place to cut your own Christmas tree. I hope this article has answered all your questions about how to cut your own Christmas tree. Cutting your own Christmas tree can be a fun experience for you and your family. However, live Christmas trees can be a fire hazard. Keep your Christmas tree away from your fireplace, and keep it well watered to prevent it from becoming dry. Check the lights ahead of time to make sure they work and are made for live trees. They should produce low heat, not high heat. Don't use outdoor lights on your Christmas tree, because they heat up more than indoor lights. As for how much does a Christmas tree cost, the price for a Christmas tree will depend on where you purchase it from. Overall, getting to cut your own Christmas tree is a great experience that you should try this year. Have fun, and stay safe!